I just downloaded WhatsApp Messenger and I would like to give it a review. WhatsApp is mobile messaging app and available in Android, Iphone, BlackBerry, Nokiaa and Windows Phone. Group chat and unlimited sending of images, video audio messages, and sharing location are the good features of this app. 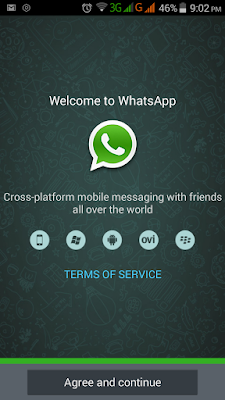 The Android installer APK of WhatsApp for Android is only 19.9MB. I haven't tested this app in Windows phone, Iphone and Blackberry. 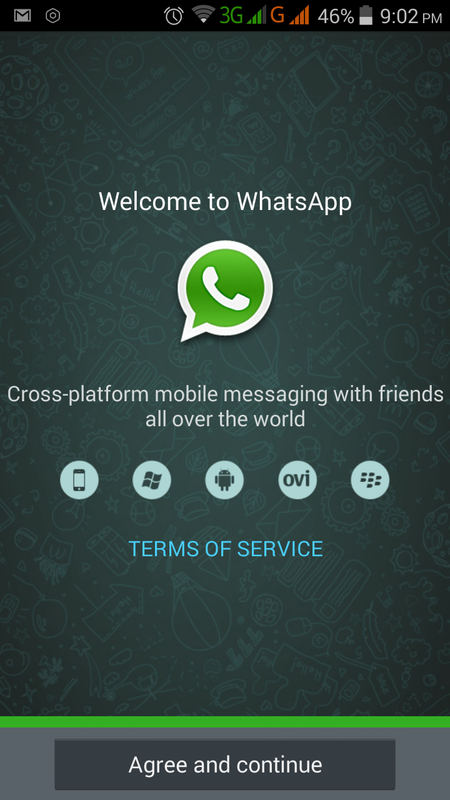 If you are interested with the WhatsApp APK download it below. Heres the initial screenshot upon launching the WhatsApp Messenger app for the first time. 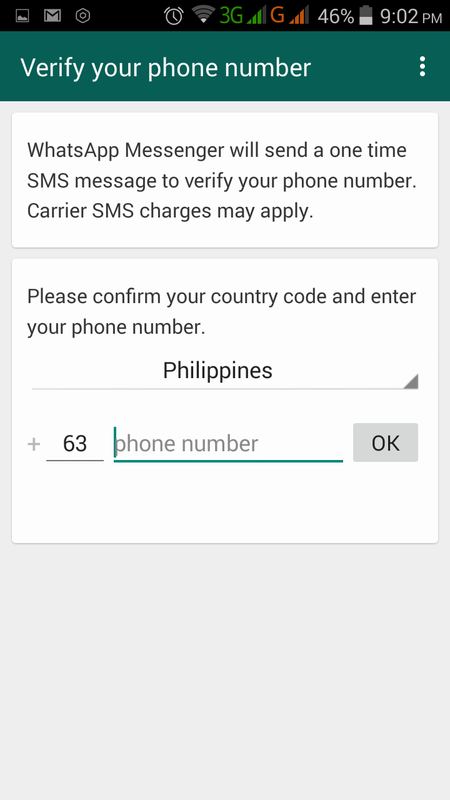 It will ask for your mobile number for verification.In my case I failed to send them a verification thru SMS, so I chose the Call Verification. After successful verification. 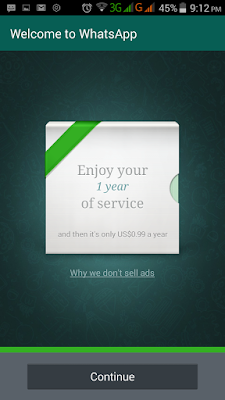 It will give you FREE 1 year service.Then after a year WhatsApp will cost you $0.99 a year. Still affordable. 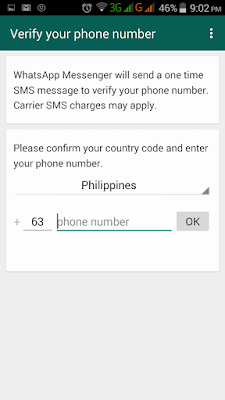 Oh by the way for those of you who failed to download the official WhatsApp APK from its official website. Heres the APK file from Android. Current version 2.12367.